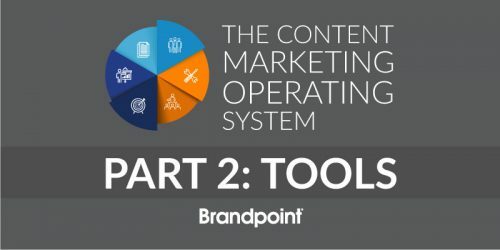 Think of a content marketing platform as a one-stop shop for marketing professionals to access all the important pieces of a marketing campaign. This is where everything comes together, from content creation to lead generation to performance results. A content marketing platform is a hub for the marketing team to store information, collaborate, produce materials and showcase results. A content marketing platform provides essential tools to organize your marketing campaigns. Large and small projects can be managed within a platform and be easily accessible by everyone on the team regardless of office location. Content can be created and stored within the platform as well as published from the platform to outside channels such as social media. The platform can connect to your website, social media accounts and email distribution service, providing one space to store, view and analyze all of your content together. This makes leveraging content across channels easier. Housing content and distributing that content in one place means being able to easily pull consistent metrics. A good content marketing platform will automatically pull in results from each piece of content, such as likes, shares and clicks. Things to keep in mind when selecting a content marketing platform include the amount of users you will have, the types of content you create and your standard channels of distribution. Make sure the platform you select has enough user licenses and is compatible with your top distribution channels. What's the Best Way to Organize Content?